1st quarter: "Women may not dream here", the debate on abortion, and the "dance licence on Good Friday"
In 2018 the gbs decided not to hold its traditional New Year reception. 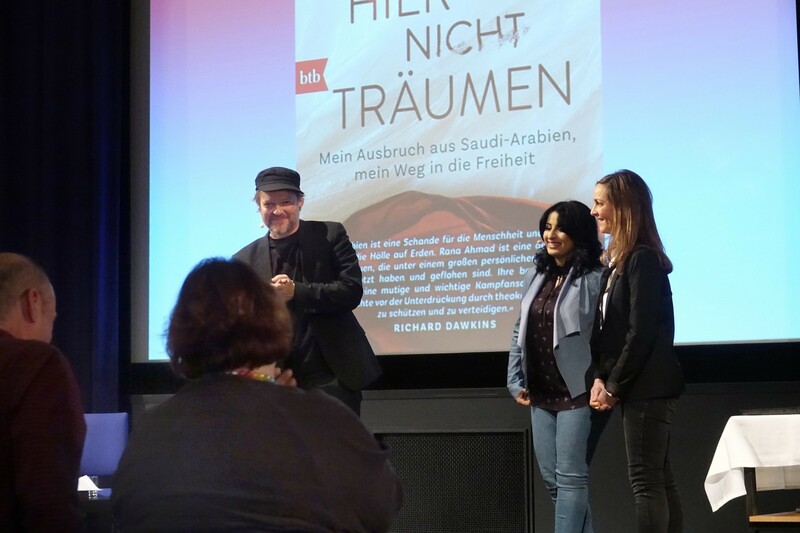 Instead we presented the autobiography "Frauen dürfen hier nicht träumen" ("Women may not dream here") at "Haus Weitblick" on January 14, in which Rana Ahmad (co-founder of the "Atheist Refugee Relief") describes her life as an atheist in Saudi Arabia, her escape via the Balkan route and her at times disturbing experiences in Germany. 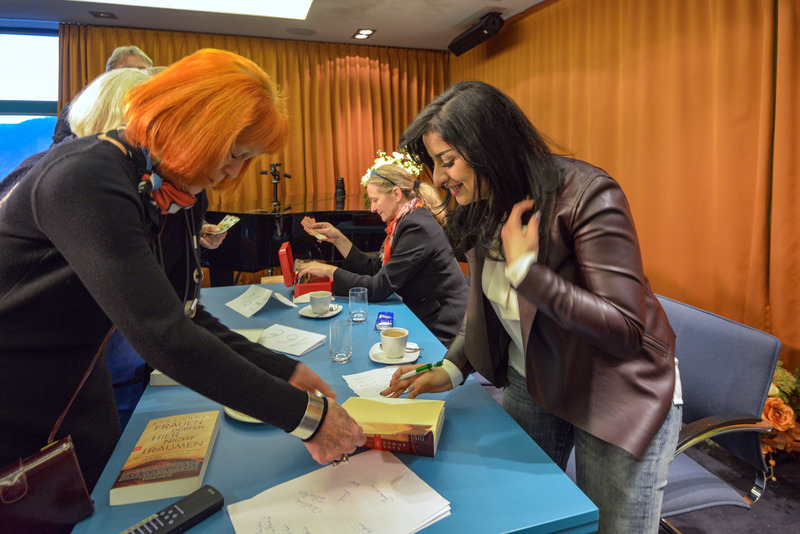 One week later Rana Ahmad, Ute Soldierer (speaker), and Michael Schmidt-Salomon (host) presented the book a second time in the Urania Berlin. 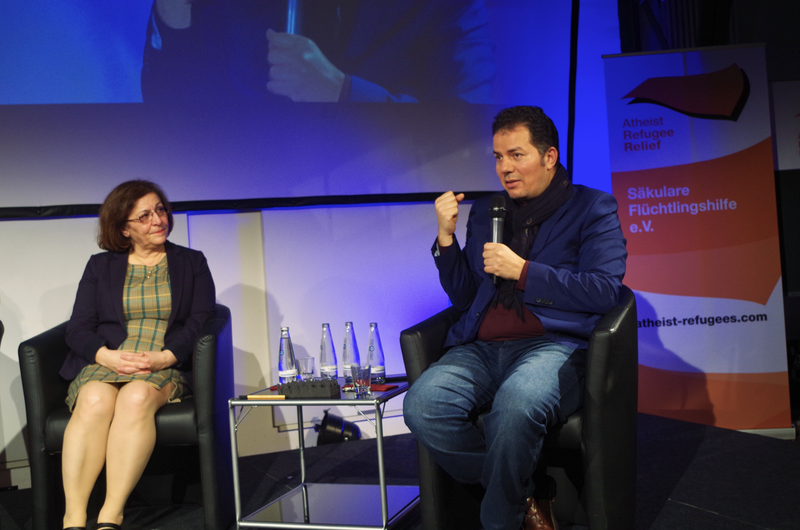 Shortly after, "Frauen dürfen hier nicht träumen" fortunately entered the SPIEGEL bestseller list, making the human rights concerns of the "Atheist Refugee Relief ", whose founding the gbs supported in the previous year, known to a wider public. 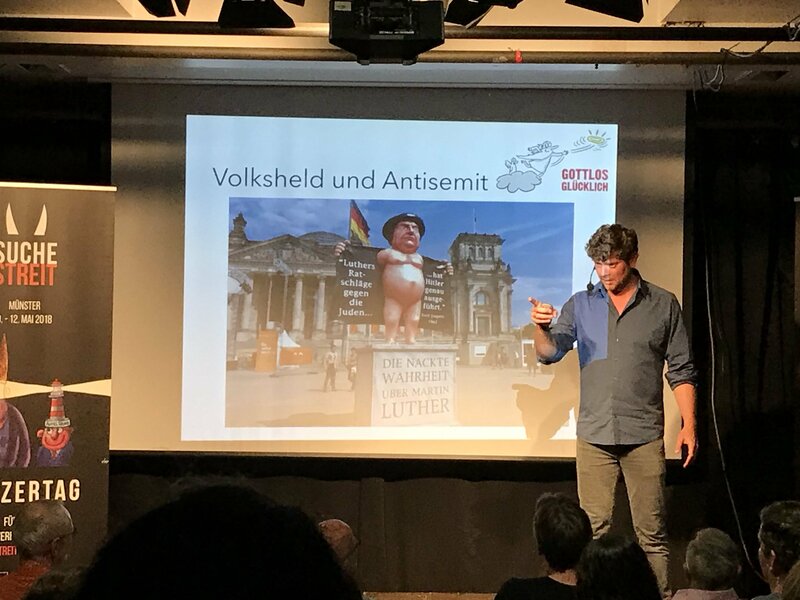 In February, following a debate in German parliament on the (as yet still not realized) abolition of the criminal offence "advertising for abortion" (§ 219a StGB, German Criminal Code), the gbs called for a fundamental revision of German legislation on abortion . 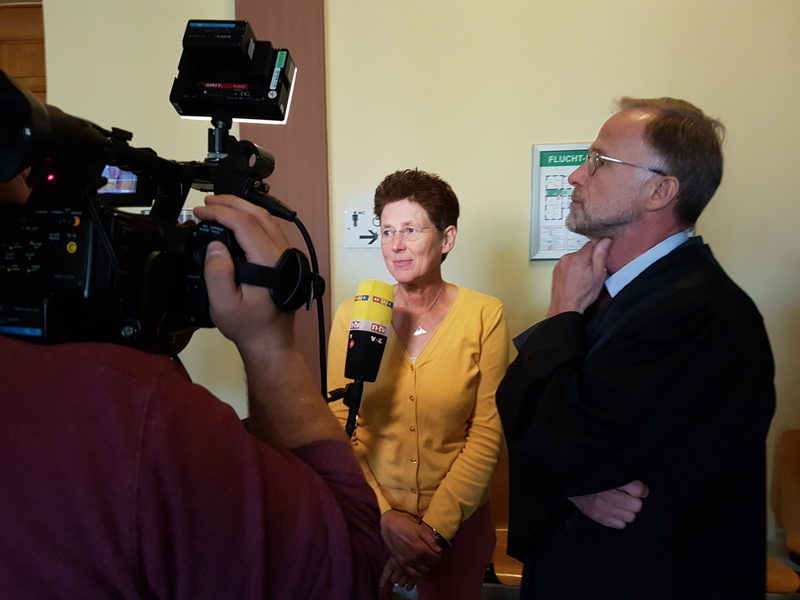 The debate on § 219a StGB was prompted by criminal proceedings against physician Kristina Hänel from Giessen (see also this short report on the second hearing in October 2010 ). 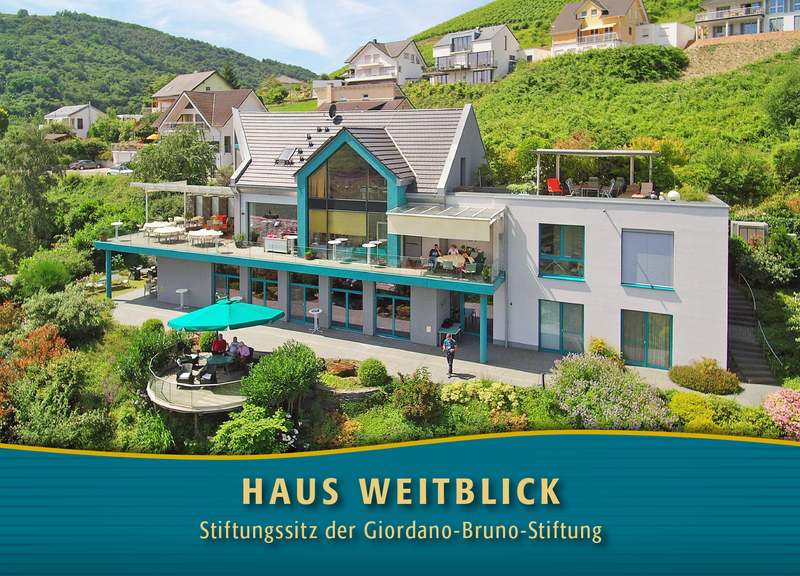 Also in February the Institute for Worldview Law (founded by gbs) published a detailed commentary on Udo Di Fabio's suicide subsidy report  (German language). 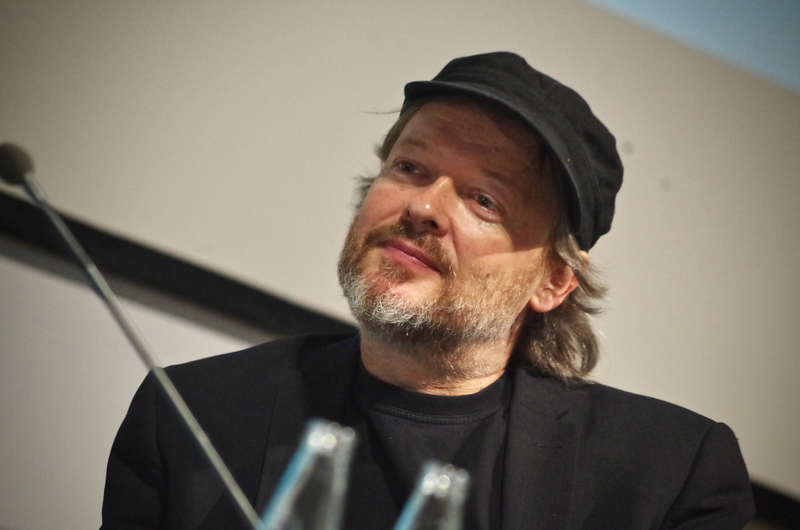 Federal Health Minister Hermann Gröhe (Christian Democratic Union, CDU) commissioned the report in order to evade the Federal Administrative Court's (BVerwG) decision in March 2017 that the Federal Institute for Drugs and Medical Devices (BfArM) must allow people in extreme emergencies to acquire a lethal narcotic. 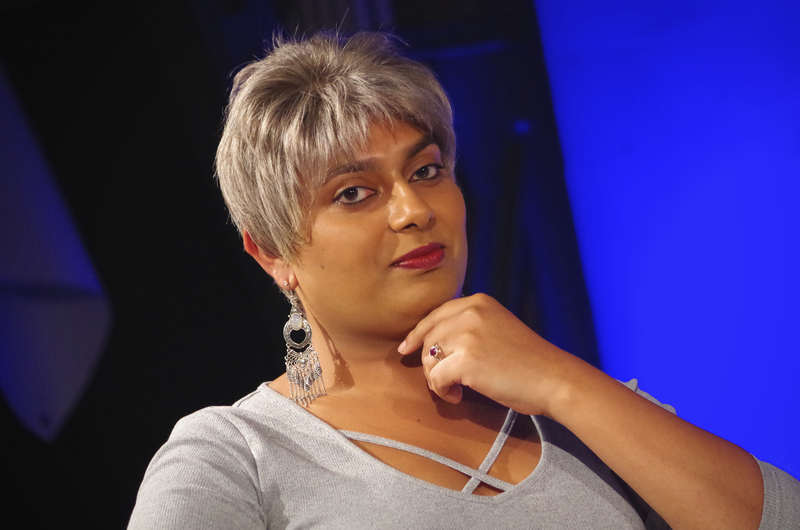 The ifw stated that the former constitutional judge Di Fabio had a "scientifically improper and biased approach" and reminded the responsible politicians that "the Ministry of Health must comply with existing law." 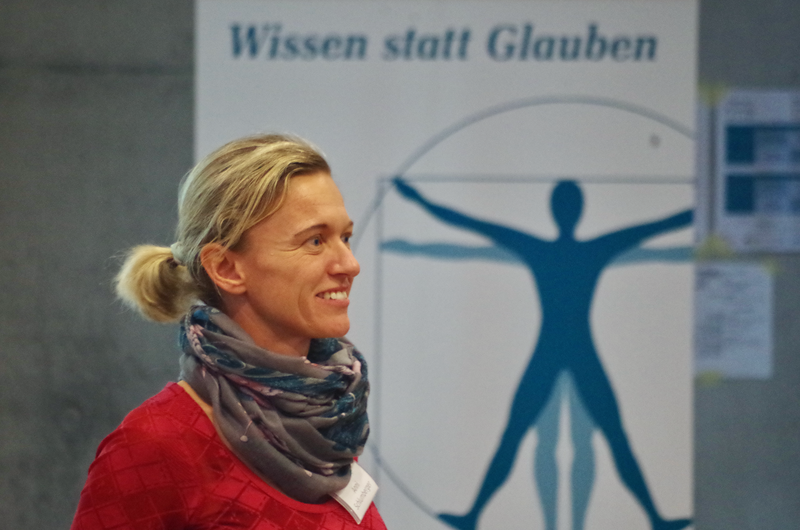 In March the gbs in cooperation with the bfg Munich issued a "dance licence" for nationwide "Heidenspaß parties on Good Friday". 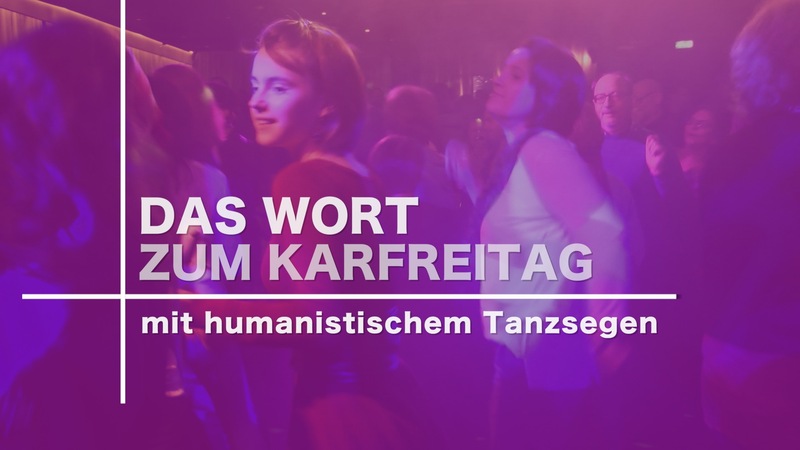 This is based on a judgement by the Federal Constitutional Court from 2016, which states that the "ban on Good Friday dancing", which is strictly enforced in some federal states, does not apply if the dance is "an expression of an ideological confession". 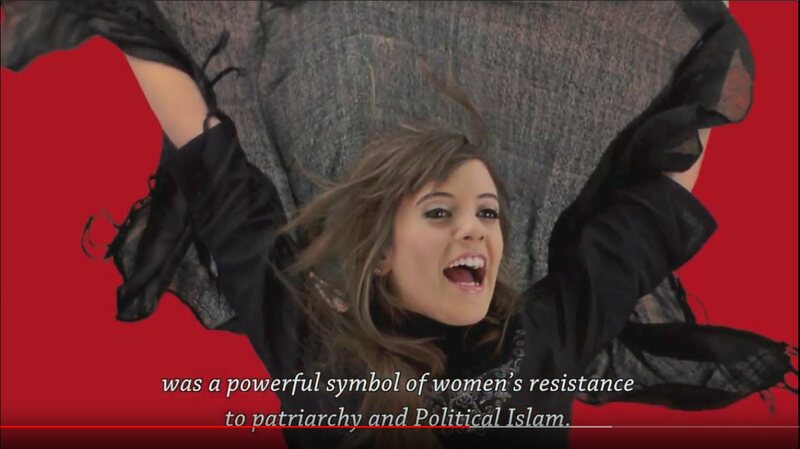 Simultaneously with the dance license the gbs published the video clip "Das Wort zum Karfreitag ", which allows interested club owners to clearly document the ideological character of their event. 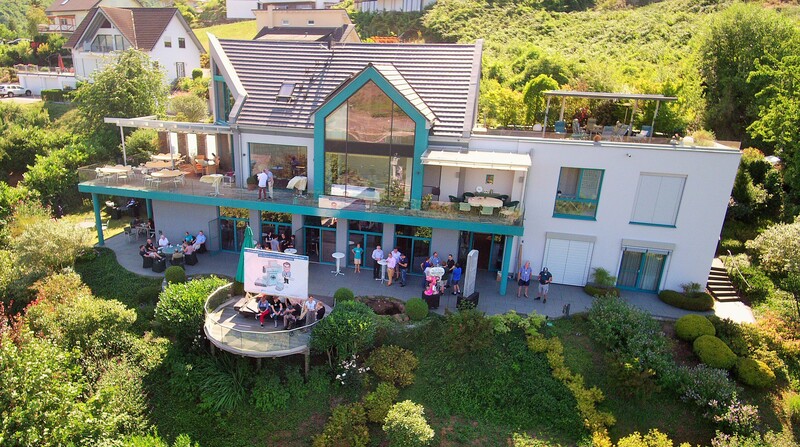 A few days later the foundation celebrated the 10-year anniversary of the "little piglet rescue" . 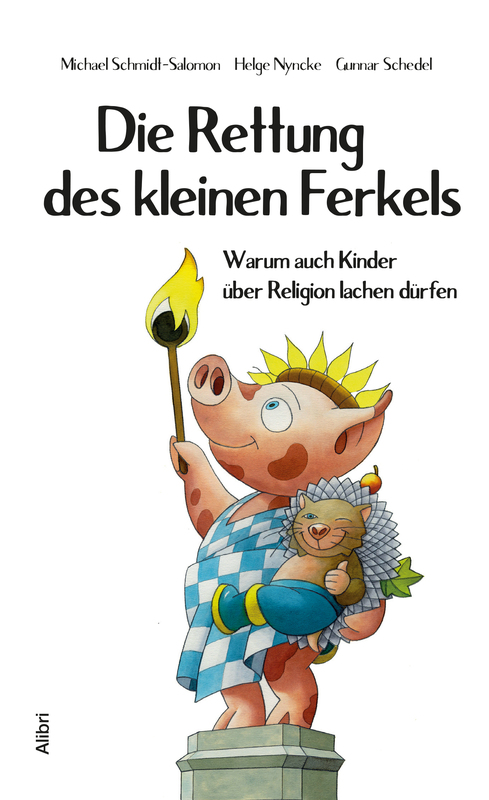 In March 2008 the religion-critical children's book "Wo bitte geht's zu Gott? fragte das kleine Ferkel" ("Which is the way to God, please?, asked the little piglet") almost ended up on the "Index for Media Harmful to Young Persons" and made history as "probably the first R-rated children's book". 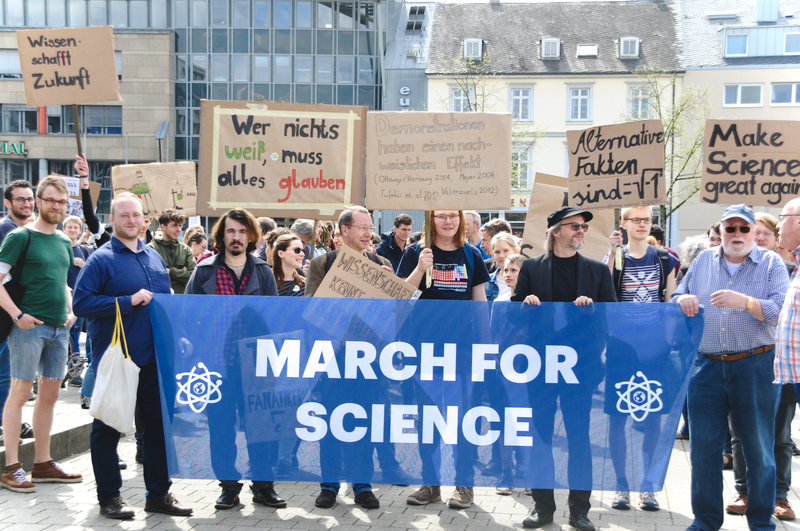 On April 14 the "March for Science" took place in 15 German cities, which - as in the previous year - was not only idealistically but also financially supported  by the gbs. 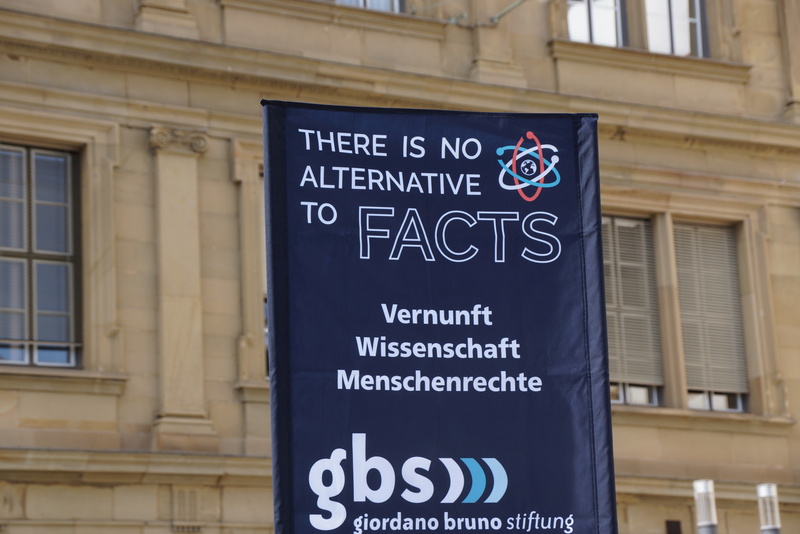 In addition to "traditional" demonstrations the "March for Science 2018" also tested other formats (including the "Science Arena" on Frankfurt's Römerberg) in order to counteract the political trend for "alternative facts" and "postfactual arguments". 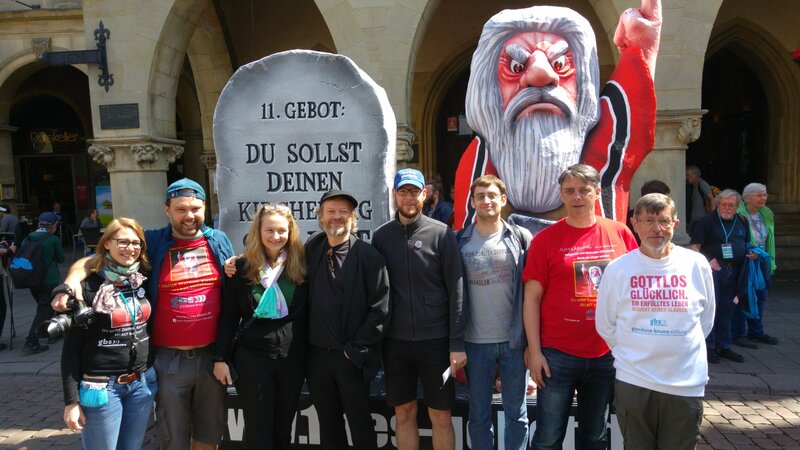 To mark the 200th birth of Karl Marx on 5 May 2018, the Giordano Bruno Stiftung published the philosopher's most important religion-critical arguments, which were embarrassingly excluded from the official Marx celebrations. 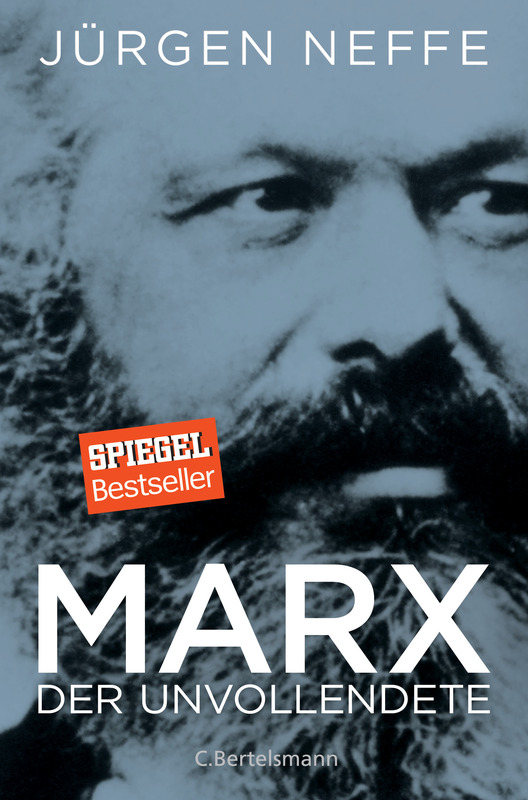 One week earlier science journalist and bestselling author Jürgen Neffe (gbs adviser) presented his highly acclaimed biography "Marx - Der Unvollendete" at the foundation's headquarters in Oberwesel. 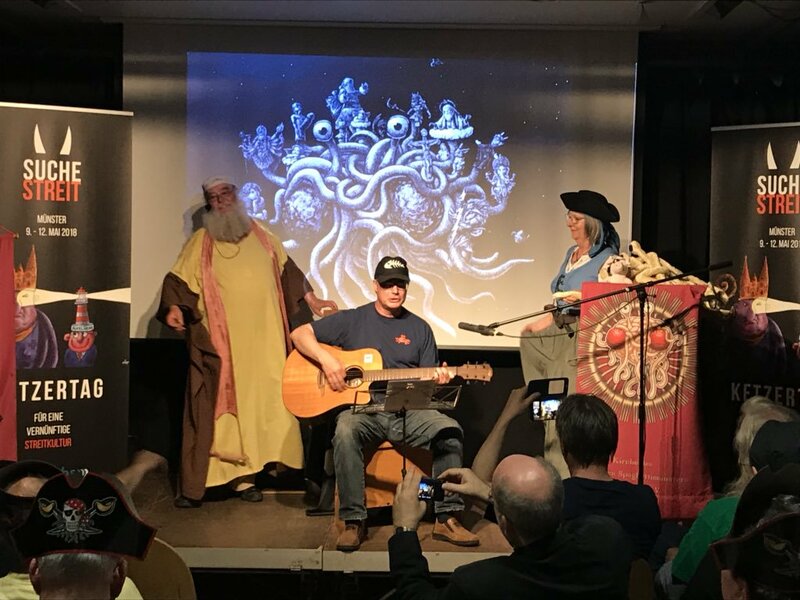 From May 9 to 12, the gbs organized the "1st German Heresy Day" in Münster in cooperation with the International League of Non-Religious and Atheists (IBKA). 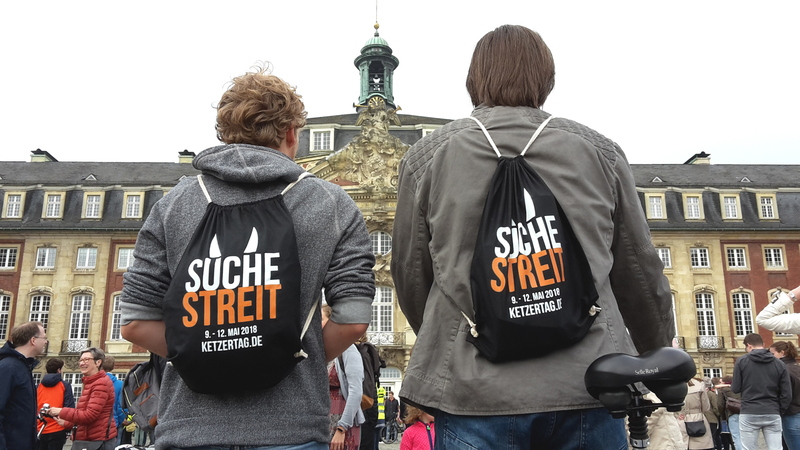 The event series with the motto "Suche Streit - Für eine vernünftige Streitkultur" took place alongside the "101. Deutscher Katholikentag" (101st German Catholic Day), which chose the motto "Suche Frieden". 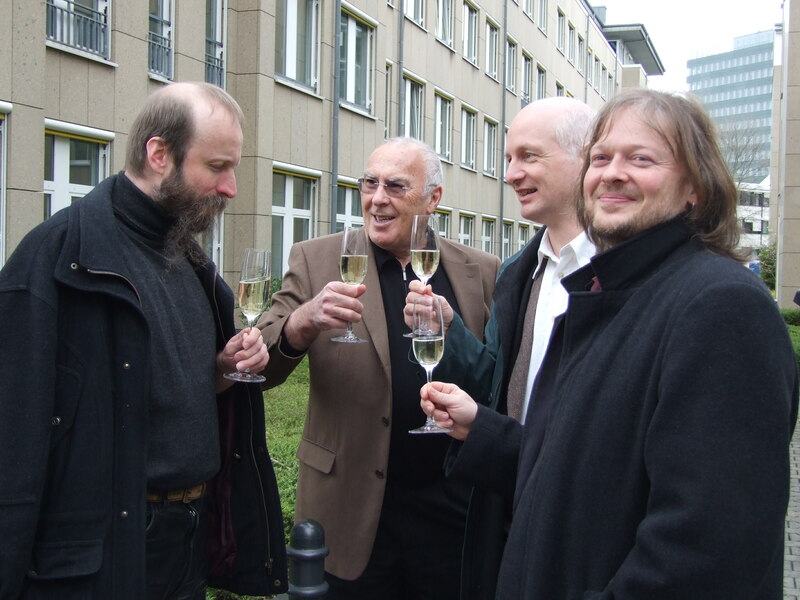 The lectures by Ingrid Matthäus-Maier, Philipp Möller, Michael Schmidt-Salomon, Günther "Gunkl" Paal, Johann-Albrecht Haupt, Maximilian Steinhaus, Rüdiger Vaas, Daniela Wakonigg, Hartmut Zinser, as well as "Brother Spaghettus" from the Church of the Flying Spaghetti Monster Germany were partially broadcast live on the internet and can still be accessed via the Ketzertag website . 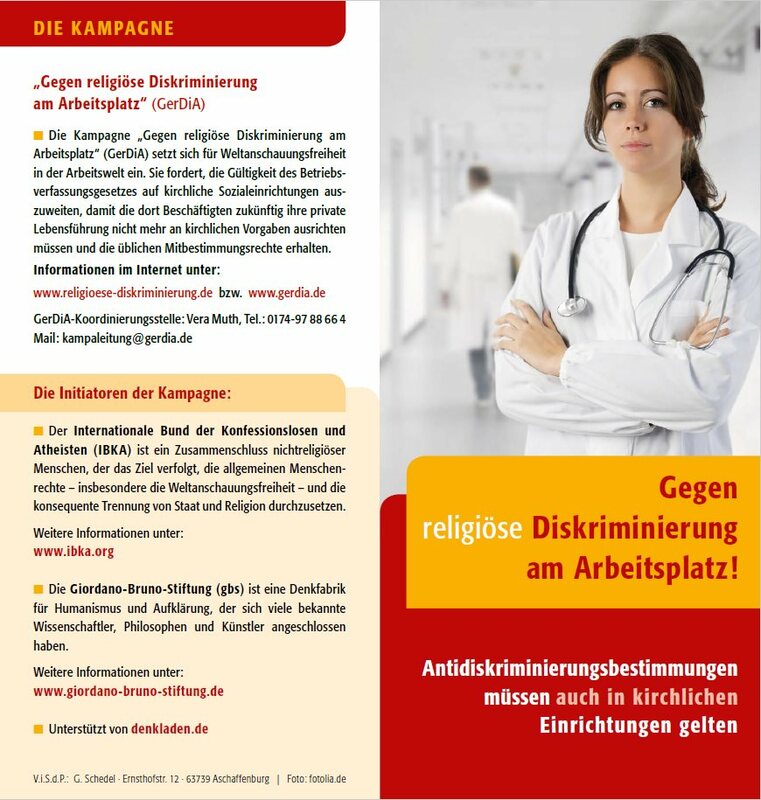 Just in time for the implementation of the new "Cross Regulation" (requiring a cross to be hung in the entrance area of every public facility) in Bavaria on June 1, the Giordano Bruno Stiftung and the Bund für Geistesfreiheit (Bavaria) organized a "campaign day for a cosmopolitan Bavaria and an ideologically neutral state". 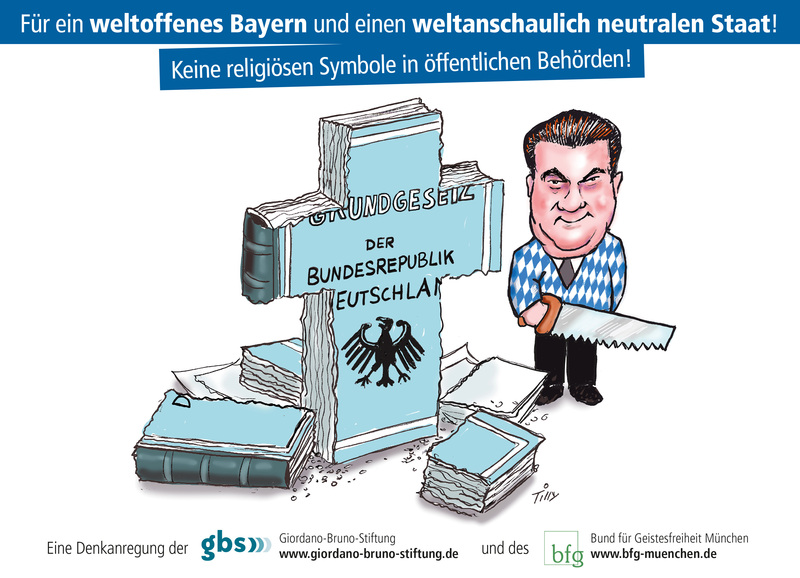 At the campaign's centre was a caricature showing Bavarian Minister President Markus Söder using a saw to trim the German constitution into a cross shape. 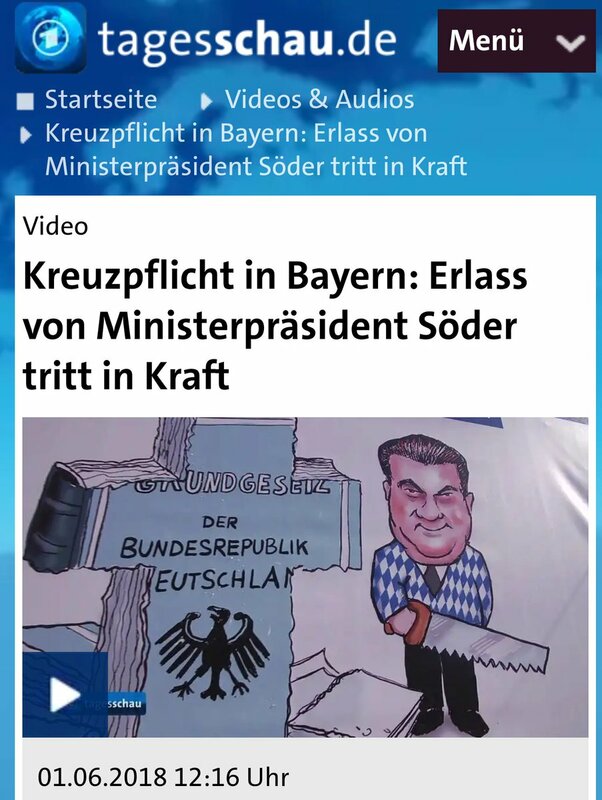 The caricature by Düsseldorf artist Jacques Tilly (gbs board of trustees) drawn specifically for the campaign was on display in many places in Munich during the first week of June and received widespread media attention (including the Tagesschau). 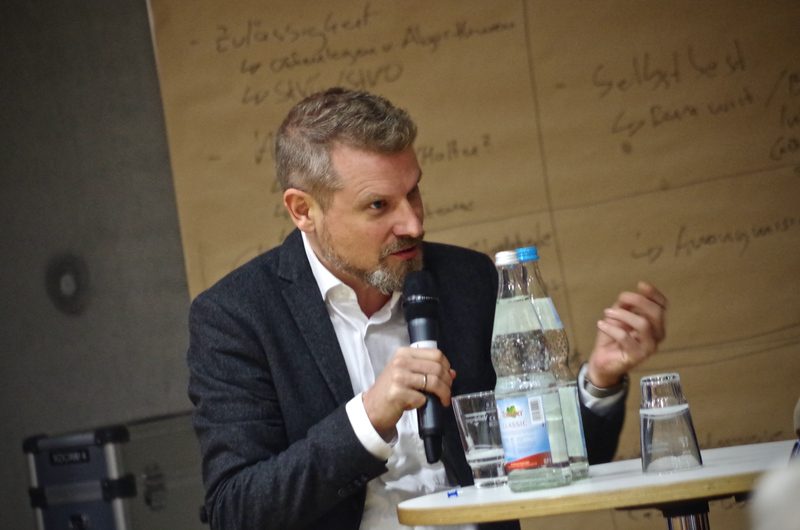 In July the gbs regional group meeting with 70 participants  took place at the foundation's headquarters, the "Bundeszentrale für politische Bildung" ("Federal Centre for Political Education") published a text on "Bioethics in Evolutionary Humanism"  and the gbs published an English version of the documentary "10 Jahre Ex-Muslime": "10 Years of Resistance against Political Islam" . 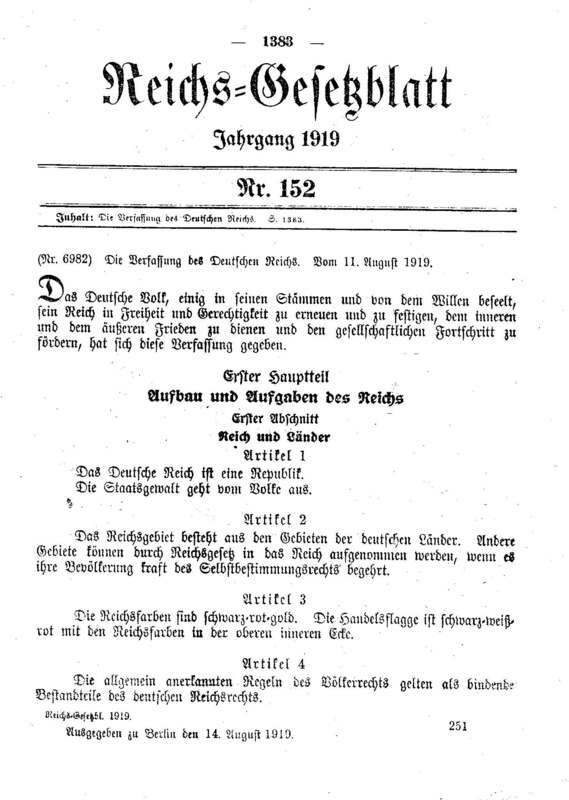 On the "99th birthday of the democratic constitutional state"  on August 14 (the Weimar Constitution took effect on August 14, 1919) gbs and ifw launched a "constitutional breach ticker"  (available in German), which shows, second by second, how long Germany's leading politicians have disregarded the principle of the state's ideological neutrality already. 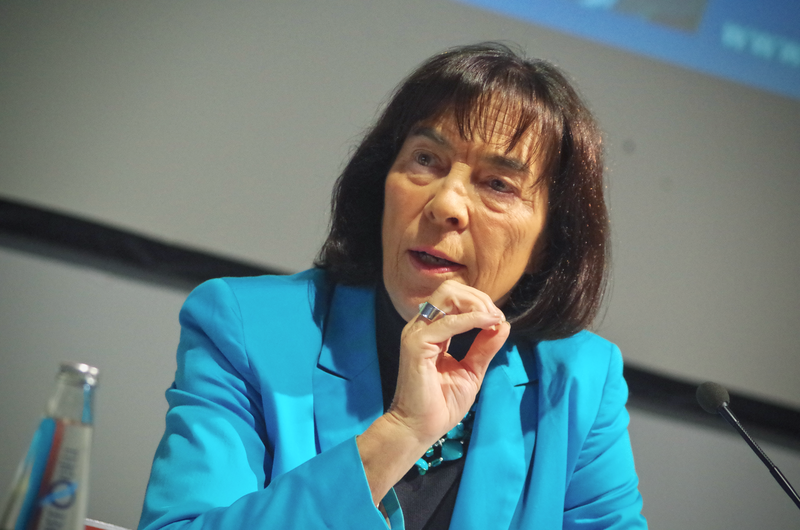 At the same time the philosophical legal essay "The Blind Spot of the German Legal System"  was published, which explains that citizens' civil liberties are still curtailed by "irrational, empirically unfounded and ideologically biased legal norms" - from the "cradle to the grave, and even beyond, i.e. from embryo protection to the requirement to bury the dead in a cemetery". 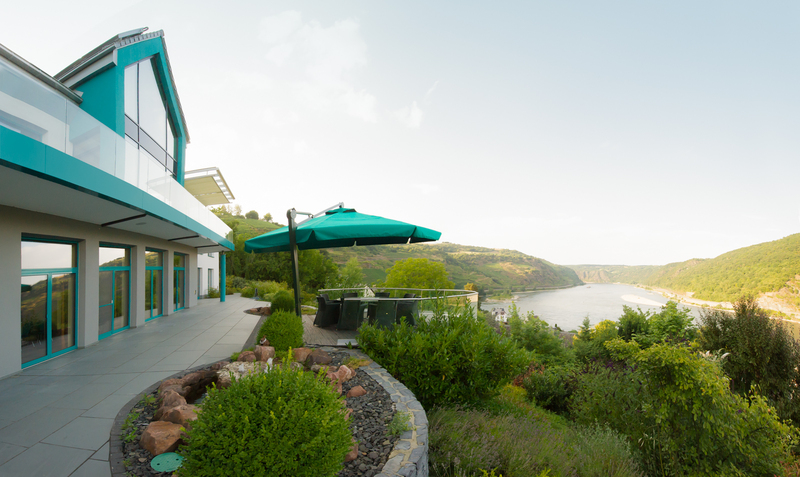 In September the gbs published its brochure "How should IT work? 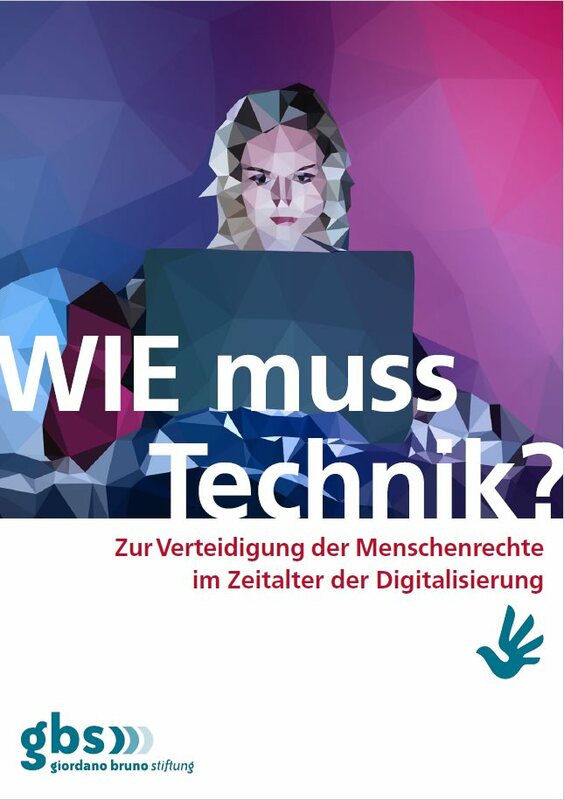 Defending human rights in the age of digitalization" , which provides a condensed overview of the ethical challenges associated with the increasing use of digital algorithms. 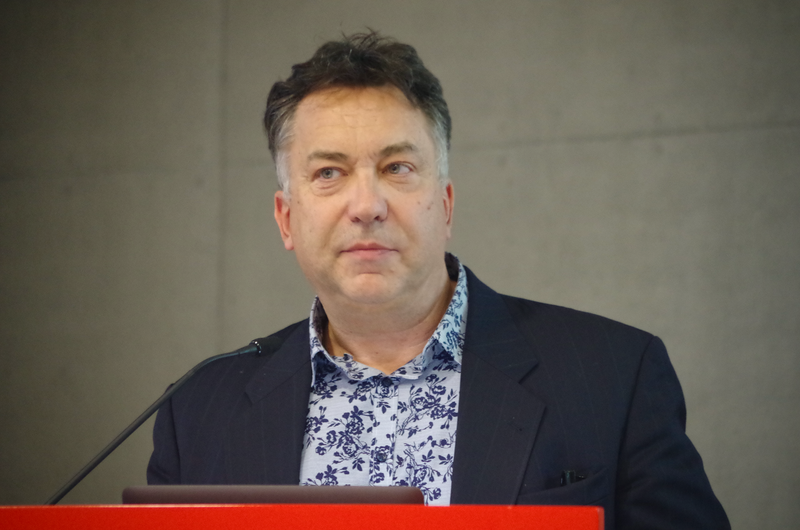 (At the end of the year the gbs took up the topic once again as co-organizer of the "Stuttgart Future Symposium" , which debated the opportunities and risks of "artificial intelligence" under the motto "Becoming human in the machine room", cf. 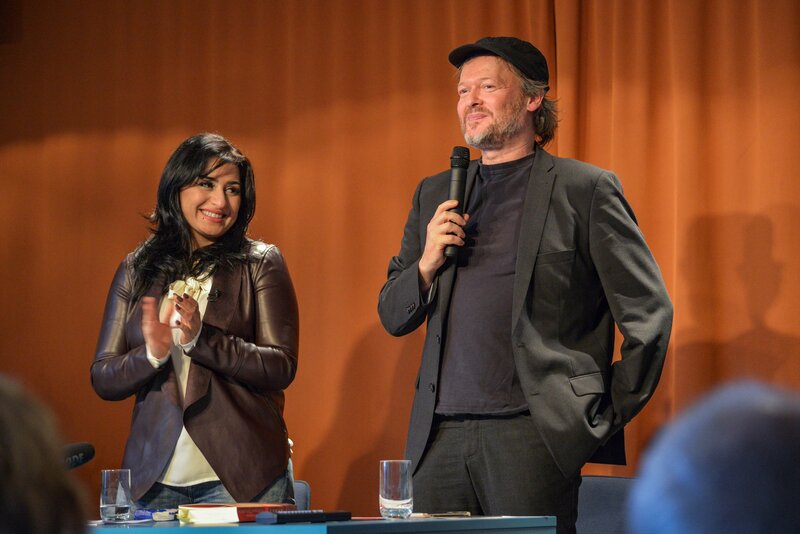 the German event report at hpd.de ). 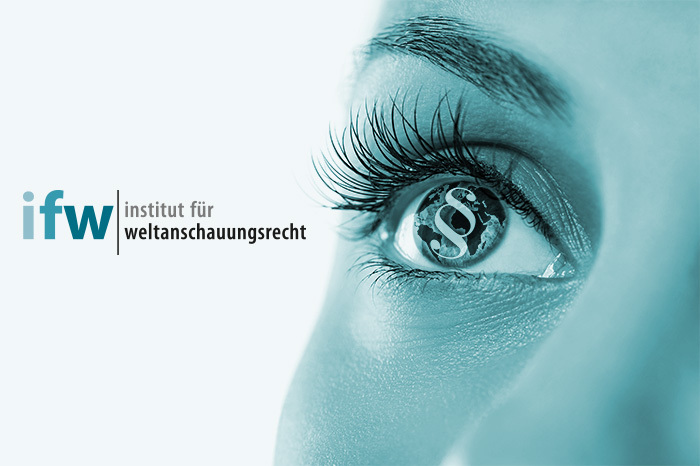 Also in September the experts of the Institut für Weltanschauungsrecht (ifw - Institute for Worldview Law) were pleased with the groundbreaking judgement of the European Court of Justice (ECJ), which declared the dismissal of a chief physician for "lack of loyalty" to the Catholic Church to be prohibited discrimination according to Art. 21 of the Charter of the European Union. 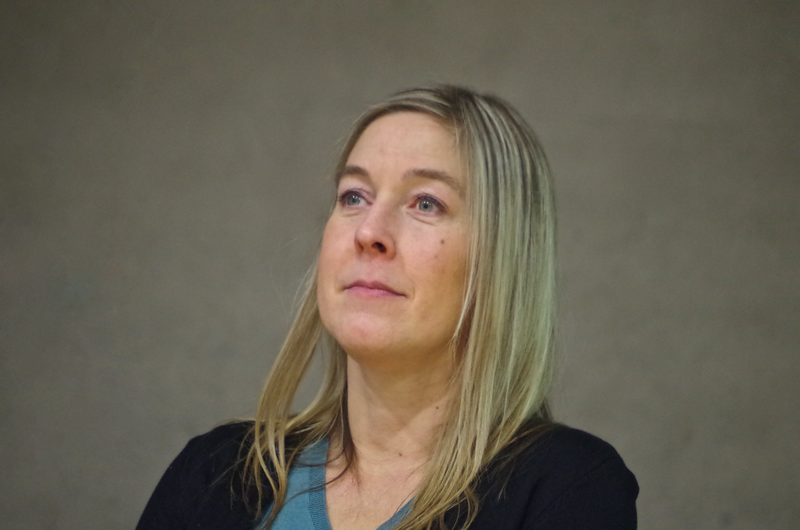 Ingrid Matthäus-Maier (ifw member, gbs adviser, and spokeswoman for the "Campaign against Religious Discrimination in the Workplace") considers the ruling to be "the beginning of the end of church labour law in Germany ". 4th quarter: #unteilbar, criminal charges against catholic abuse offenders and the "Secular Week of Human Rights"
In early October the "Forschungsgruppe Weltanschauungen in Deutschland" (fowid - Research Group on Worldviews in Germany, supported by gbs) published a new overview on the social distribution of religious affiliations . According to the report the Roman Catholic Church lost 269,000 members in Germany in 2017, the Protestant Church (EKD) even lost 394,000. 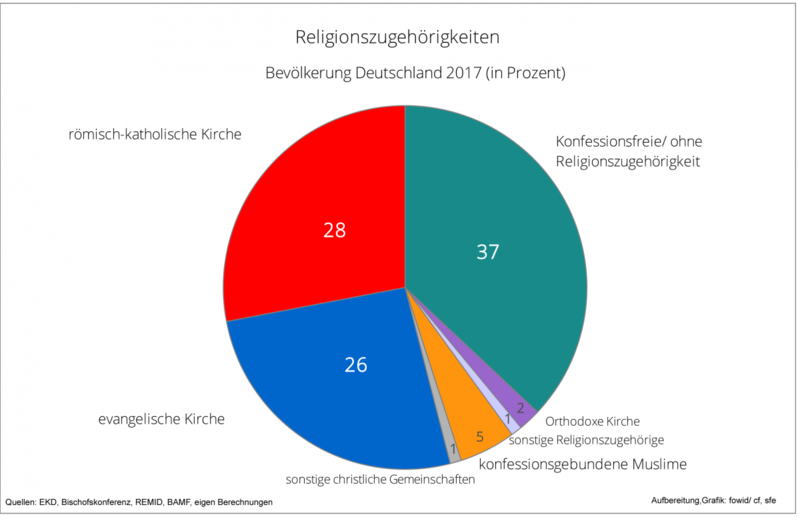 According to fowid, at the end of 2017 the nondenominational accounted for the largest share of the population in Germany at 37 percent. Catholics (28 percent), Protestants (26 percent), denominational Muslims (5 percent), and members of other religious communities (4 percent) followed at a clear distance. In mid-October the gbs supported the Berlin large-scale demonstration #unteilbar (#indivisible), in which more than 240,000 people showed their support for "an open and solidary society". 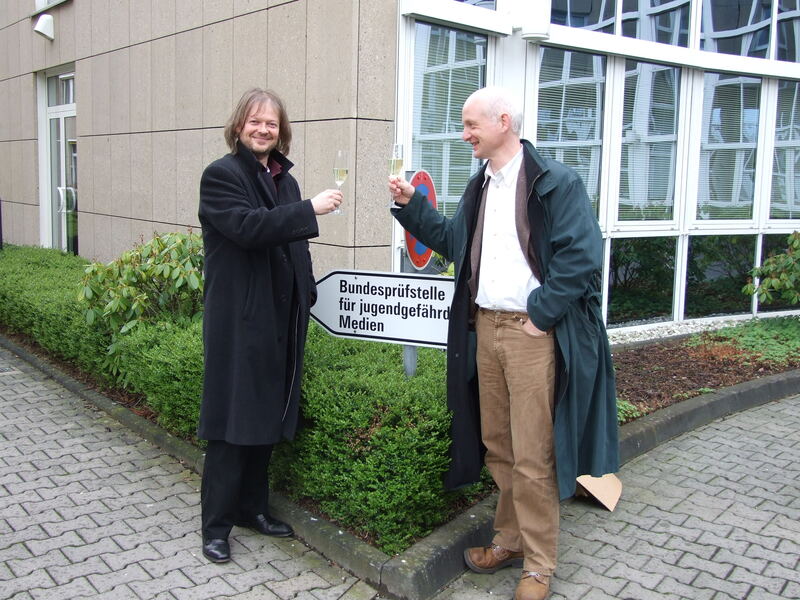 This commitment met with occasional criticism after some media (including Spiegel online ) prominently mentioned the involvement of the gbs. The foundation responded to the criticism in several statements . 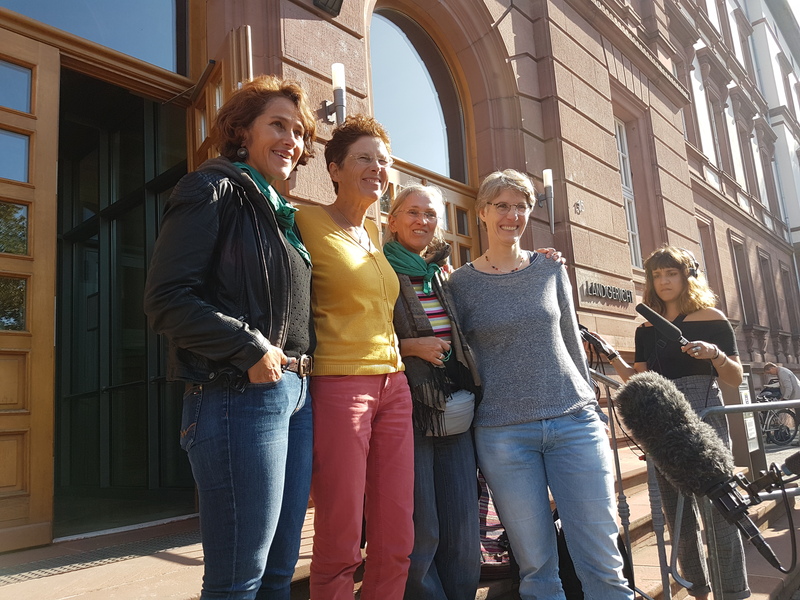 At the end of October six renowned law professors in association with the Institut für Weltanschauungsrecht (ifw - Institute for Worldview Law) filed nationwide criminal charges against sexual offenders of the Catholic Church and demanded preliminary proceedings in all German dioceses . 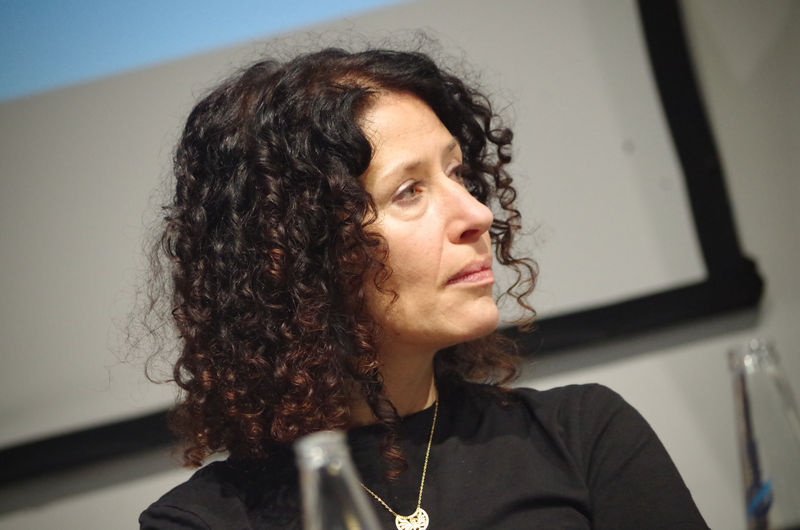 The initiative, which was announced in advance by SPIEGEL, not only met with a broad media response, but also led to some public prosecutors' offices actually initiating preliminary proceedings since then. 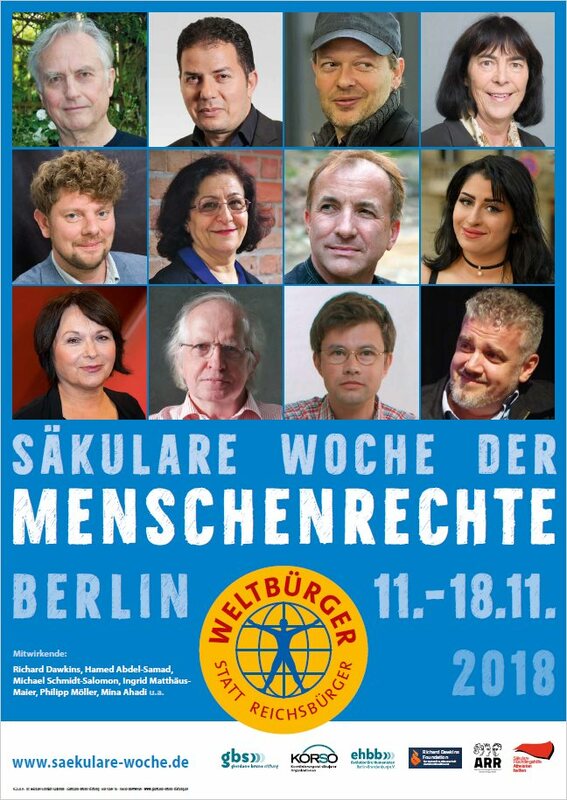 The foundation's human rights activities in 2018 (including the rescue of a secular blogger from Bangladesh) culminated in the "Secular Week of Human Rights" , which took place in Berlin from November 11-18 under the motto "World Citizens instead of Reich Citizens". 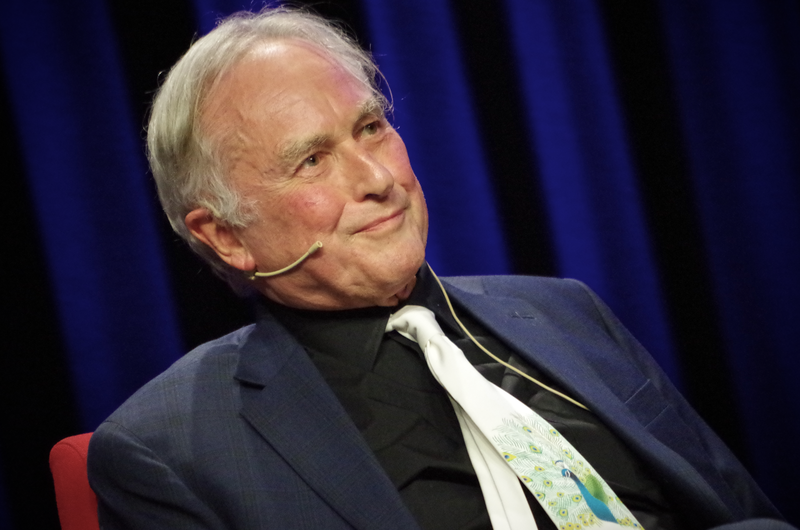 It was opened by an event with Richard Dawkins and Michael Schermer at the Urania Berlin, which attracted around 800 guests (see also the exclusive hpd interview with Richard Dawkins , available in full length in English on YouTube ). 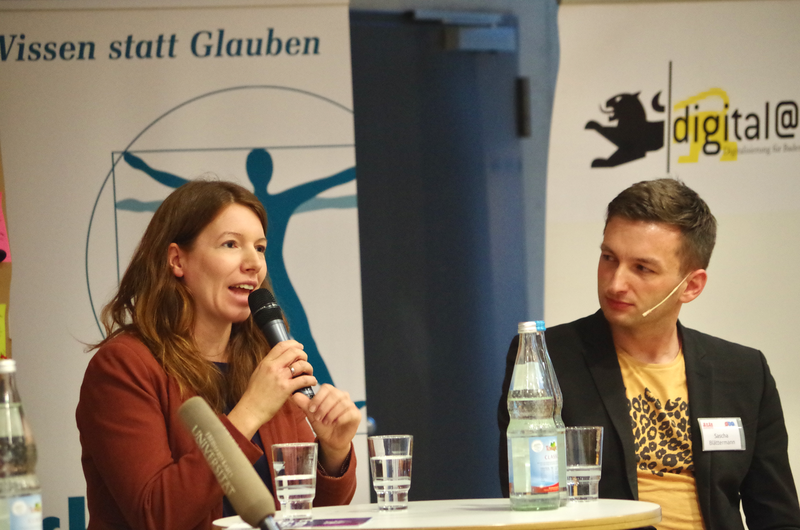 On the following day the gbs presented its new brochure "Die Menschenrechte - Wie sie entstanden sind und warum wir sie verteidigen müssen"  ("Human Rights - How they came about and why we must defend them") at the House of the Federal Press Conference. 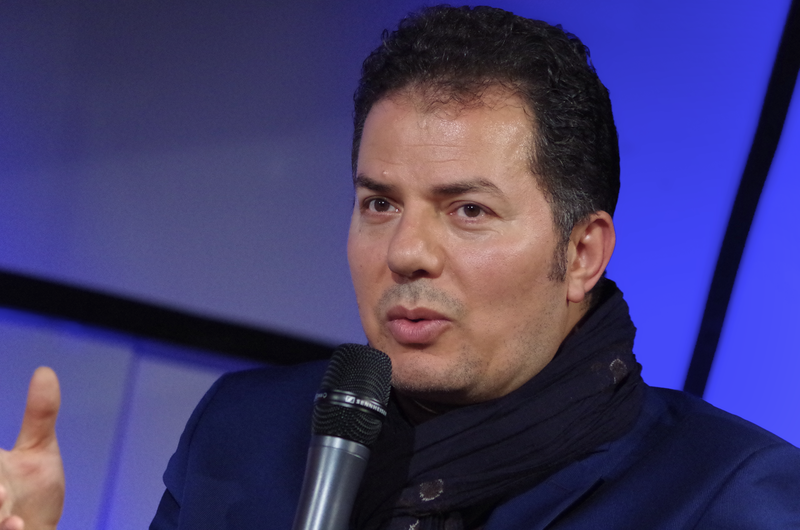 "Islam and human rights - different cultures, same problems?" 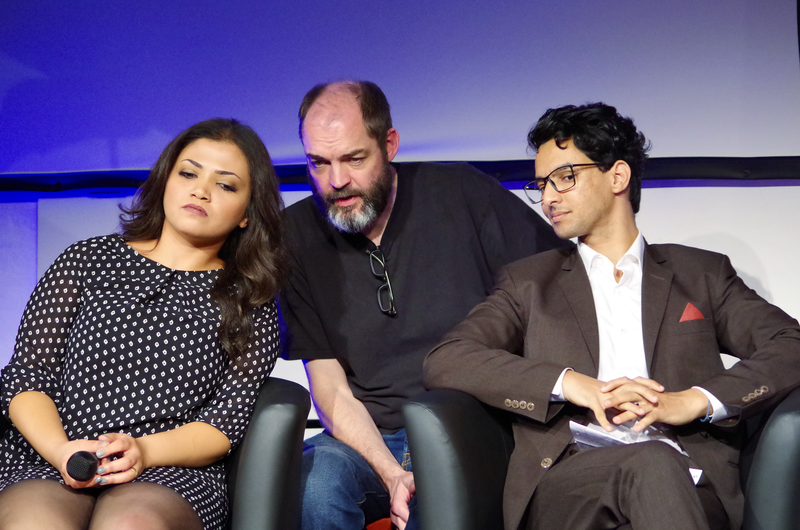 was the topic of a well-attended panel discussion in which Hamed Abdel-Samad (gbs adviser) and Mina Ahadi (chairwoman of the Central Council of Ex-Muslims), among others, took part (see also this video documentation by the Atheist Refugee Relief ). After two film nights in memory of the Hessian attorney general Fritz Bauer and "World Citizen No. 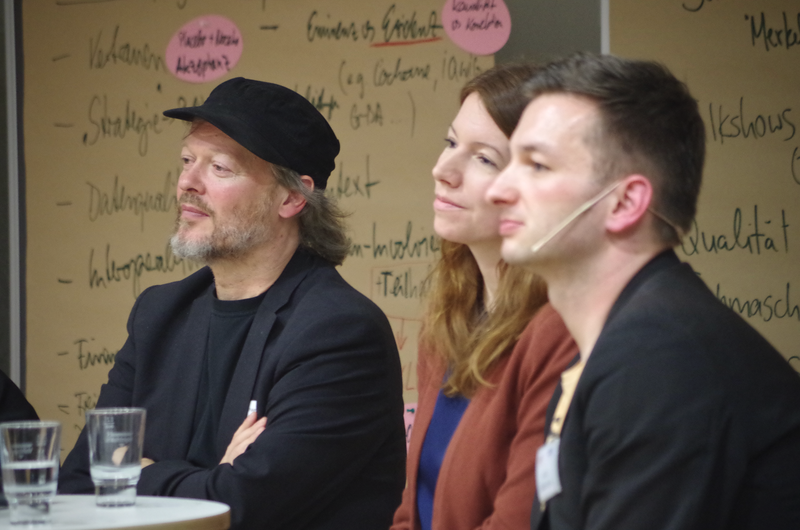 1" Garry Davis (hpd report , Spiegel online commentary , both in German language) the human rights week ended with a most insightful debate on the "secular state of the future" , in which Bettina Jarasch (Bündnis 90/Grüne) and Ingrid Matthäus-Maier (SPD) took part. 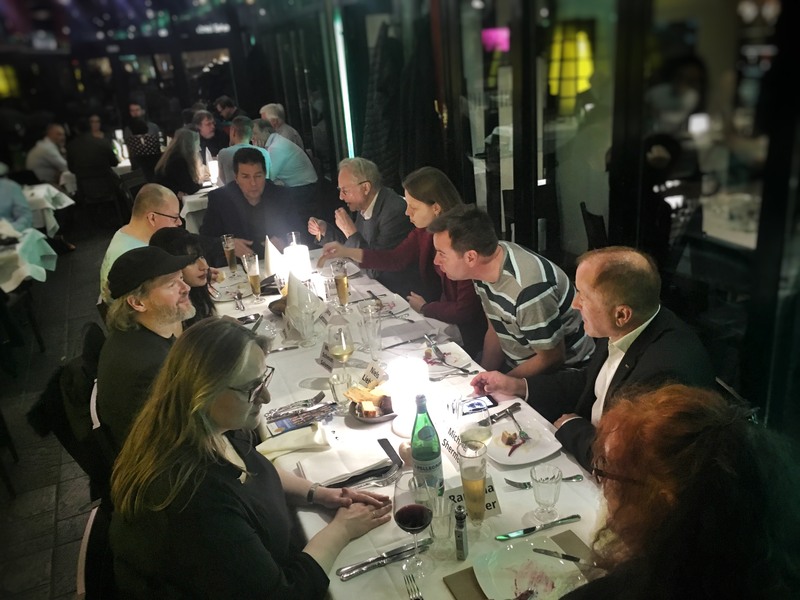 This will also be the subject of the 70th anniversary celebration of the UN Declaration of Human Rights on December 10 in Hamburg, which brings the Giordano Bruno Stiftung's "Year of Human Rights" to a close. 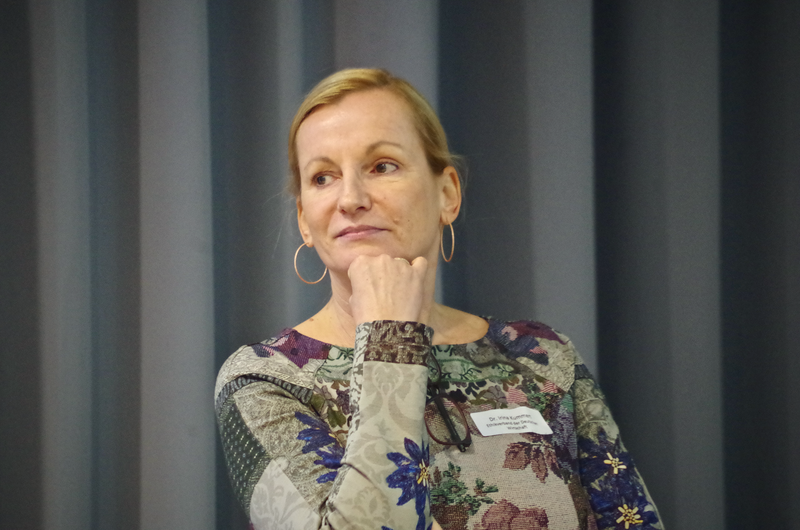 Jacqueline Neumann (ifw) and Michael Schmidt-Salomon (gbs) will speak in the "Haus der Patriotischen Geselschaft von 1765" about the "Human right to an ideologically neutral State" - a topic which will be of particular interest to the gbs in the new year. 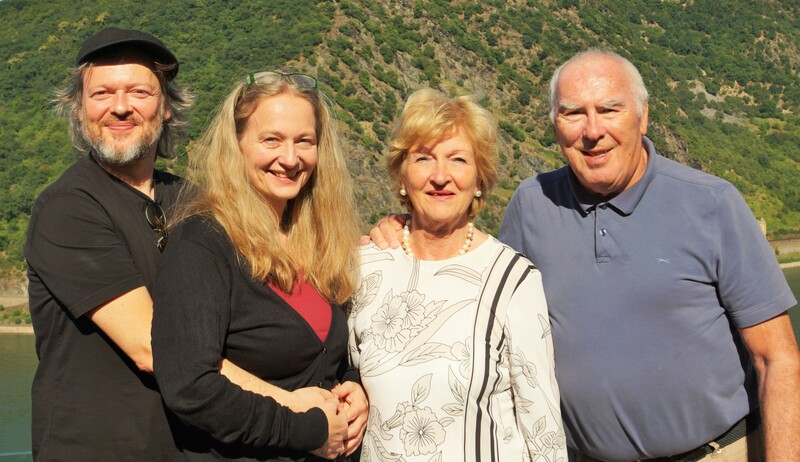 The review above is only a sample of the activities that took place in 2018 in the foundation's environment (for a more detailed description please see the foundation's activity report, which will be published in Spring/Summer 2019). 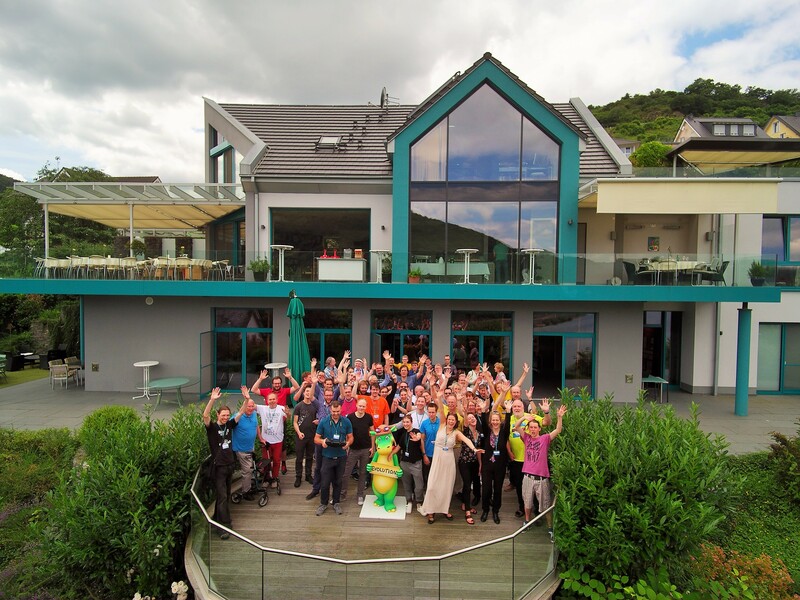 gbs directorate and business management were pleased with the developments of the past year. 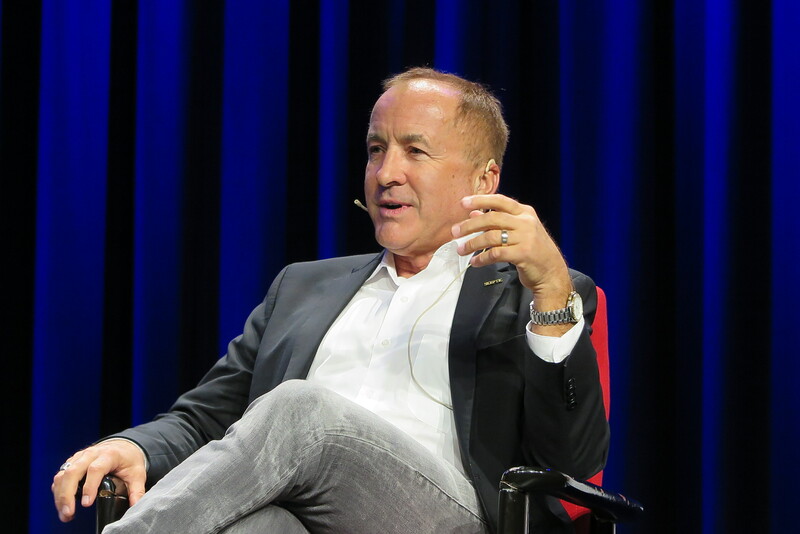 There is concern about the threat to human rights posed by the worldwide advance of nationalists and fundamentalists (hence the campaign "World Citizens instead of Reich Citizens! 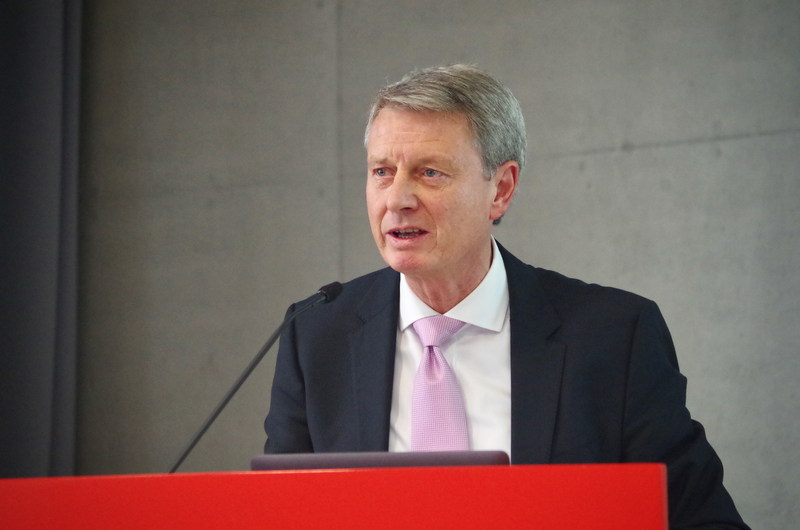 "), but these identitary forces have hardly been able to gain a foothold in Germany so far (despite the successes of the right-wing party AfD). 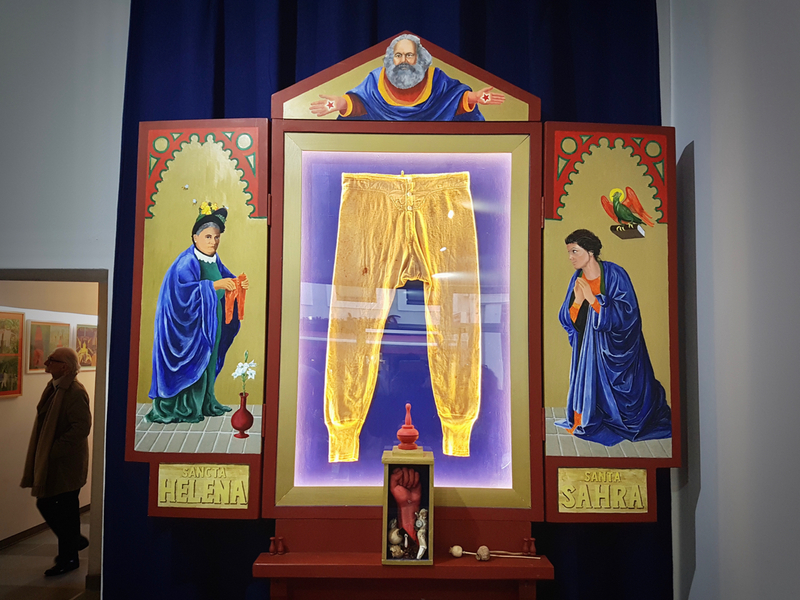 The secularization also progressed in the German population (especially among younger people ), which increasingly forced religious communities to come around. 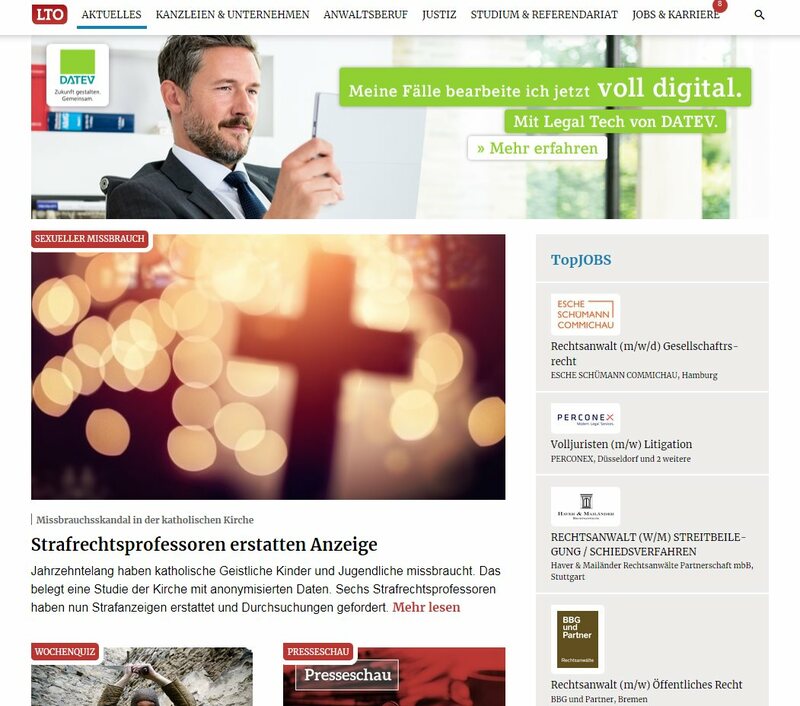 Thus the Evangelical Church of Bavaria recently decided to renounce the "special church money in marriages of different beliefs" retroactively to January 1, 2018 , against which the gbs in cooperation with the ifw had conducted several model lawsuits. 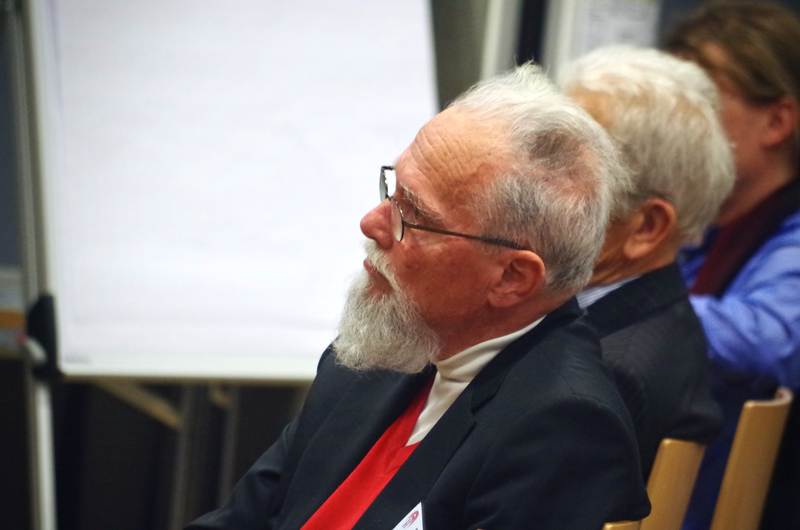 The founder Herbert Steffen was particularly happy that the gbs had already crossed the "magic line" of 10,000 supporting members in November 2018: "I always hoped, but didn't necessarily expect, that I would still experience this. 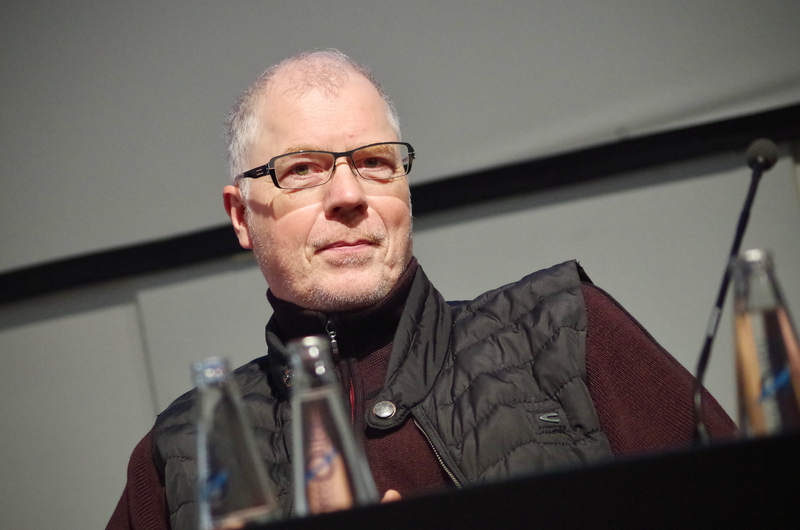 It appears that I must now set myself new goals..."
Sincere thanks to Florian Chefai, David Farago, Evelin Frerk, Ricarda Hinz, Frank Nicolai, Udo Ungar, and Daniela Wakonigg for the pictures, and Roland Dahm, Carsten Frerk, Peder Iblher, and Jacques Tilly for providing the illustrations.